(¯`·.¸HairWeb.org • Sienna Miller: Celebrity Looks - Styles & News - The actual fashion look of the Star, music, download, songs, free, DVD & CD. After her debut in the role of the alluring Venetian beauty Francesca Bruni in the historical remake of "Casanova," the American actress (born 1981) changed her movie costumes for more comfortable fashion. Since April 2006 she is working for the Spanish company "Pepe Jeans." The "Boho Style Icon" did some commercials for Coca Cola, Italian Vogue and Prada. She was also the model for the 2003 Pirelli calendar. Since 2004 Sienna has been together with her movie collegue Jude Law (photo right). In December 2006 she split with her own unfaithful Casanova Law because of cheating "rumors." After Casanova the actress had to cut her long hair. 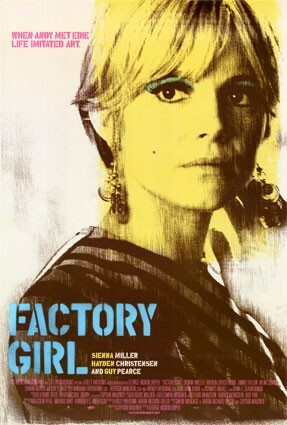 The reason was her new leading part in her last movie «Factory Girl», in which she played Andy Warhol's (short haired) muse Edie Sedgwick.